How To Find The Best Smelling Dog Shampoo? Why Use Odor Control Shampoo? What can happen if you wash your dog more often? This is one of only few products that really deliver on what they promised on the bottle, and that is the long-lasting scent. Fresh ‘n Clean Scented Dog shampoo is reasonably priced and made with plant-derived ingredients. In this product you will find purified water, naturally derived cleansers, conditioner, thickening agents, conditioning agent, fragrance, and soothing agents. Not only will this product clean your dog’s dirty coat it will also detangle mats and make the coat easier to groom. With long-lasting floral fragrance, the coat will also be fluffy and soft. This product has vitamin E and aloe barbadensis leaf juice to provide moisture for the dry and flaky skin. These ingredients make this product suitable for dogs that have sensitive and itchy skin caused by allergies. The Fresh ‘n Clean shampoo is great for brittle and dull looking coat and will bring back its natural shine. The floral scent will last for two weeks, and if you notice that the fragrance isn’t so strong just wipe your dog with a wet towel. Isle Of Dogs brand focuses on natural ingredients in order to keep your dog healthy and looking great. We chose their Silky Coating shampoo that smells like jasmine and vanilla and will remove all unpleasant odors from your dog. In the bottle, you will find water, aloe barbadensis leaf juice, and panthenol that will nourish the skin and make it healthy. Aloe will hydrate dry and flaky skin and make it look great again. This is a gentle formula that will clean your dog and also detangle any mated areas. The Isle of Dogs created this shampoo for long and shorthaired breeds for the improved look of dull coat. The floral scent of Jasmine and Vanilla will remove smelliest odors and provide your dog with long lasting nice fragrance. For a reasonable price, you will get a nice smelling clean dog that has a soft and shiny coat. 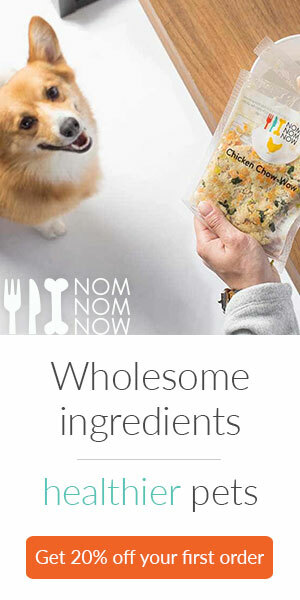 Nootie is pet brand that specializes in making only the best for your pet. And to tackle the unpleasant odor in dogs they created long-lasting scented shampoo. Japanese Cherry Blossom combined with Rosemary will leave your dog clean and smelling divine. Made with natural ingredients that don’t include paraben and soap this shampoo is great to keep the skin healthy and the coat shiny. And gentle cleaning agents will remove all the dirt and debris from a matted coat. This formula will hydrate the skin, and will not cause itching and flaking. Exotic Japanese Cherry Blossom scent is long lasting, so it is perfect for dogs that have a natural strong odor. Rosemary extract will keep the coat and skin strong and healthy. Additionally, this shampoo is safe to use with topical flea and tick treatments. Earthbath creates great natural products for skin and coat care and this product has a wonderful tropical mango scent. Most importantly this is a great smelling dog shampoo for sensitive skin. This makes it perfect for owners who have to deal with the dry, flaky, and smelly dog. In this bottle, you will find purified water, renewable plant-derived and coconut based cleansers. They won’t be harsh on the skin but will completely clean it. Gentle conditioner and detangler will help with matted coat and make brushing a breeze. Organic aloe vera and vitamins A, B, D, E will moisturize dry and flaky skin, relieving itching symptoms. Mango essence will keep the coat shiny and smelling of tropical heavens. With all the natural ingredients, this shampoo is a great choice for dogs with sensitive skin that should smell bad. Dogs older than 6 weeks can use this product without affecting flea and tick treatments. This is a chemical-free shampoo that is great for itchy and dry skin. It has a gentle formula but is efficient in keeping dirt and grime away from your dog. In this shampoo, you will find water, mild surfactant blend, shea butter, almond butter, herb extracts and olive oil. Aloe vera will moisturize your dog’s skin and keep it healthy. Furthermore, chamomile and honey extract have anti-inflammatory and anti-bacterial properties. Rosemary stimulates hair growth while shea butter promotes a strong and healthy coat. Particular Paws created this shampoo to have a long lasting pleasant scent that isn’t too overpowering. Yet it is strong enough to remove the most unpleasant of odors. This shampoo costs a little bit more but it’s effective in giving relief to sensitive skin. Not all dogs are the same. Some of them can develop a strong odor immediately after washing while others can smell normal for a month or two. It is important that good smelling dog shampoo won’t cause harm to your pooch. Hence, make sure that it is made from natural ingredients and that doesn’t have a very overpowering smell. Even if you don’t have a particularly smelly dog, you may want that your pooch always smells like fresh flowers. Luckily there are great products that can help you accomplish that. But the right scented shampoo should provide much more, and here are a few benefits of a good smelling shampoo. Right pH levels: Human product aren’t designed for our pets and the frequent use of them can damage your pet’s coat and skin. When you use a dog shampoo you can be sure that is specially formulated to be gentle towards your pooch’s skin. Easy to apply: Some dogs are afraid of bathing so it is important that everything is done as quickly as possible. Dog shampoos are formulated with a special consistency that makes them easy to apply and rinse out. Dirt removal: Making your dog clean is the first step that will help get rid of that nasty smell. The primary use of every dog shampoo is to make your dog clean and remove all debris, mud or dirt from your dog’s coat. Odor control: Scented shampoos are made for those really bad smelling pooch’s. Usually, they like to be covered in nasty things that are just too much for a regular shampoo. They can also be used for dogs that have a very strong natural odor. Natural ingredients: Pet industry recognized the importance of naturally made products. Thus, now you can find a great number of shampoos that won’t harm your dog’s health. They are made to nourish your dog’s skin and coat at the same time giving it a nice scent. When dealing with a really smelly dog it can be tempting to wash him every day to remove the odor. However, this can cause more harm than good. With the use of smelling dog shampoo that lasts long you will get great results and nice smelling dog. Furthermore, your dog will be clean and healthy. Type of your dog’s coat will determine how often you can wash him. Oily coats: If you own a dog that has a naturally oily coat you should expect more frequent baths. Dog owners should bathe these breeds once a week, but always pick chemicals-free shampoos that won’t harm coat and skin of your dog. Shorthaired breeds: When it comes to these dogs they need to be bathed less than once a month. If your dog has a very strong odor, a scented shampoo will keep your dog smelling great without frequent baths. Water-resistant coats: Labrador Retriever is one of the breeds that has a water-resistant coat and that is thanks to their natural skin oils. Dog owners should bathe these dogs once in three months. This will give their hair enough time to produce oils that will protect it. Double coats: To keep your double coated dog clean and nice smelling it is important to brush him properly and often. These dogs shed during the spring and fall and it is advised to bathe them during this period. Additionally wash your dog two more times during the year. Dry skin and hair occur when you wash your dog often and his hair doesn’t have time to produce natural oils. They serve as protection and keep your dog’s coat and skin healthy. Loss of natural shine is also associated with over-washing. Brittle hair and full looking coat require a special nourishing shampoo. We recommended that you look for shampoos that are made from natural ingredients or have an organic certificate. Natural ingredients will help with dry, flaky or sensitive skin and natural fragrances won’t be too strong on your dog’s nose. Organic moisturizers: Aloe vera, oatmeal, honey, and vitamin E can provide hydration and are necessary for dogs who have dry or flaky skin. Natural fragrances: Look for chamomile, eucalyptus, lavender, citrus, or other fruity extracts that won’t overpower your dog. If these don’t provide the desired result talk with your vet about medicated shampoos. With so many shampoo choices, sometimes it can be hard to find just the right one that will be strong enough for your dog’s nasty odor. In order to help you, we reviewed 5 products that will get your dog smelling great.